Are you prepared to conquer your yard on your own or do you need the pros to rescue you? Here’s how to figure out if you’re a good match for do-it-yourself landscaping. Whether you dream about a small garden bed or a whole landscape transformation, you need to figure out what you can conquer yourself and what you need help with. Here’s how to evaluate the possibilities and challenges of do-it-yourself landscaping. Analyze Your Skill Set If your thumb is more brown than green, or if you think the color wheel is a painted round thing for bicycles, it may be overly ambitious for you to jump into do-it-yourself landscaping. So do some research and start with a few good basics, as well as small containers, for an introduction on how to grow different types of plants in different situations and how to take a more measured and deliberate approach. If you’re fairly experienced with soil types and plants and have the time, then do-it-yourself landscaping may be just for you. Even so, an overall plan is a must so you can create a cohesive look to your do-it-yourself approach. Get more tips on how to landscape. See landscape layout tips. 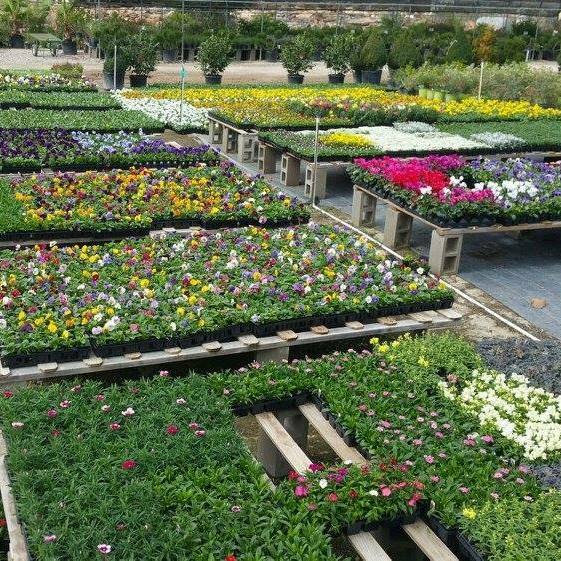 Figure Out Your Style Depending on the current condition of your yard and your desired end result, your gardening style may determine how much or how little you’re able to accomplish with do-it-yourself landscaping. “A landscape is really a direct expression of a homeowner’s tastes and attitudes, and it also can be a place that provides a thoughtful and deliberate spot for activities they wish to do,” says Michael Miller, president of Walden Backyards. For example, some people may be content with small tweaks to what they already have — a few beds and borders surrounding a lawn, for example. Those simpler landscapes which focus on maximizing existing elements lend themselves easily to do-it-yourself landscaping. But more formal arrangements — lots of shrubs, complicated beds, plenty of hardscaping — may require the muscle and expertise of professionals. Learn more about garden styles. Clear the Clutter It may seem insurmountable to think about do-it-yourself landscaping, but there’s a trick to get your started, Miller says. “You have to look at your yard as a palette, and to do that, you have to get the biggest offenders out of the way,” he says. For example, take a few weekends to clear clutter or remove overgrown elements. “Those are great tasks to do yourself and things that most people are comfortable with,” Miller says. Even small changes may help you step back and see your landscape with fresh eyes and help you establish a vision, which in turn helps you determine if you can take a do-it-yourself approach to landscaping. Keep your DIY landscape low maintenance too with our tips. Consult an Expert Even if you’re convinced that you have what it takes for do-it-yourself landscaping, it may be worthwhile to budget a small fee to have a landscape professional help evaluate your ideas and come up with a concrete plan. “People have a fear of getting ripped off,” Miller says. “But a designer can sit down with you and help you think about activities and goals and pull together a realistic budget. It’s a shame when folks do a small area and later think, ‘Oops, I put that in the wrong place.’ They really need to think through all the pieces they might want, even if they won’t put it in for years.” Get tips to work with landscape professionals. Break Out Pricing Some landscape tasks may cost less than you think; some may cost more. To figure out what fits into your budget, ask a designer to break down an overall plan by section and price so that you can evaluate what you can and can’t afford to do professionally. Divide and Conquer Just because you’ve come up with a plan doesn’t mean it has to be implemented in a single year. In fact, most homeowners should look at an overall vision that’s phased in over several years at a minimum, says Miller. 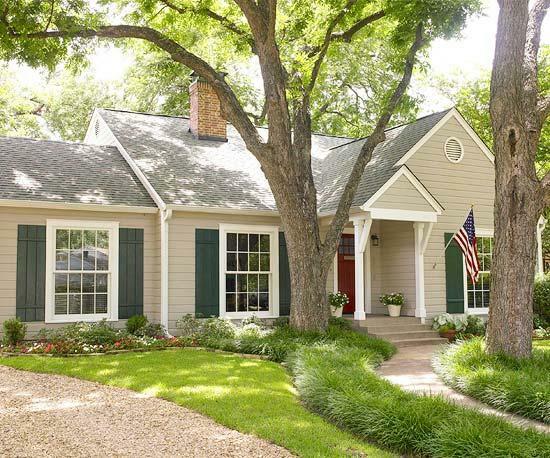 To gain the most in curb appeal, start in the front yard and work your way back. Phasing in a project may also allow you to pay for some landscaping tasks in later years while doing some yourself up front. Don’t Be Impulsive “People have a tendency to go buy something and plunk it in the backyard, and they wind up with clutter and pieces that don’t match because they got it on sale,” says Miller. Use the same thoughtful approach to hardscaping as you would with plants: Evaluate your choices based on budget to buy, install, and upkeep as well as time you have to maintain it yourself. “People don’t do the research and spend time learning about how to do projects successfully,” says Miller. “Do your prep and be patient, but if you really want it and are not patient, hire somebody to do it right.” Check out our landscaping materials guide. Allow Your Garden to Change A garden for a family with little kids may not be the same as a garden that empty nesters desire — and that’s OK. “Our yards are a direct expression of how we want to live,” says Miller. That translates into a more fluid approach to do it yourself landscaping. For example, when your kids are little you may not have lots of time to maintain gardens; instead you want a tough, durable, low-maintenance approach to landscape. As your kids grow, you may have more hours and willingness to devote to small and large projects that you do by yourself. “There are different stages and phases of life and of the garden,” says Miller. Design online with Plan-a-Garden. Get more inspiration with our free garden plans. ← Landscaping with Rocks and Stones.